A research paper on a Domino’s Pizza business plan look into the business, marketing, and service of this well known American restaurant chain. 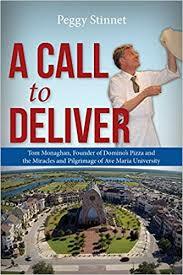 In recent decades, Domino’s Pizza has become an unmistakable landmark in the American cultural landscape. Although pizza is originally an Italian food, through the intervention of Domino’s, it has been transformed into a distinctly American service/product. Now, it seems that the quality and taste of the pizza itself is secondary in importance to its ready availability. Through the prevalence of Domino’s Pizza and hundreds of copycat competitors, the tradition of “pizza night” has emerged, when the desire to eat pizza has been supplanted by the desire for a highly convenient, relatively inexpensive dinner delivered to one’s front door. As such, the quality of the food served by Domino’s Pizza is not the most important part of their product offerings. Instead, it is the quality of the pizza paired with the ease and convenience of Domino’s free home delivery service that must be evaluated. For the purposes of this business plan, a recent ordering experience will be recounted, but this will be supplemented by impressions gleaned through many such experiences. The claim that the business plan makes is that Domino’s Pizza serves only mediocre pizza, but that the overall package of quality, service, convenience and value makes the experience worthwhile. The typical Domino’s Pizza experience begins with a phone call to place an order. Although it is possible to order and pick up pizza at the physical location of a Domino’s Pizza, the franchises usually consist of a small, dingy storefront harshly lit by fluorescent lights – in short, not a dining experience worth noting, except for its unpleasantness. Some people have experienced difficulty in successfully communicating their order to Domino’s personnel, and many have had problems receiving orders that are substantially different than that which was communicated over the phone. However, my experience did not involve either of these difficulties, probably because of the simplicity of the order, which consisted of a single, traditional-style large pizza with pepperoni and mushrooms. Roughly 25 minutes after my order was taken over the phone, a delivery person arrived at the door bearing a surprisingly warm pizza. Without partaking of any of the offered specials, my purchase came to just over $12, and I gave the polite delivery person a $2 tip. Although $14 is not exactly inexpensive for a fast food dinner, the cost and convenience of not having to leave the comfort of one’s home has to be factored in, as well. All said, my encounters with both the order-taker and delivery person were smooth and efficient, with no difficulty, miscommunication, or discourtesy. This experience of ordering from Domino’s Pizza, paired with many past experiences and the input of family and friends, confirms the chain as merely adequate in the quality of its food offerings, but better when cost, value, and convenience are added into the equation. Taken together, the product and service are worthy of implementing a serious business plan for purchase of a franchise. Although I would not recommend Domino’s Pizza to someone who was seeking a delicious pizza, I would readily recommend it to someone who was seeking an easily accessible, convenient, and relatively inexpensive meal to be delivered within a short time span. Customer Relationship Management - Customer Relationship Management research papers examine the processes and technologies for managing the relationships with potential and current customers and business partners across marketing, sales, and service areas regardless of the channel of distribution. Business Structures: The Corporation - A corporation is a separate legal entity recognized under the law (which gives it a healthy corporate culture). Corporate Culture and Innovation - Research papers state that a technical definition of culture is “an organization's widely shared values, symbols, behaviors and assumptions. Organizational Theory, Design and Change - Organizational Theory, Design and Change term papers provides 14 essay questions for a Business MBA project. Quality Management - Quality Management Research Papers look at a sample of an order placed to assist with a management project with a specific scenario. Marketing Plan research outline provided by Paper Masters. Social Media Marketing - Research papers on social media marketing look into the most common ways to reach consumers in today's society through social media. Strategic Marketing Plan - Strategic Marketing Plan research papers discuss the part of business that deals with the overall business strategy, and lists actions based on corporate mission. Strategic Marketing - This is a research paper that discusses the essential tools of strategic marketing. This is a basic project for early marketing classes. Paper Masters writes custom research papers on a Domino’s Pizza business plan and look into the business, marketing, and service of this well known American restaurant chain.